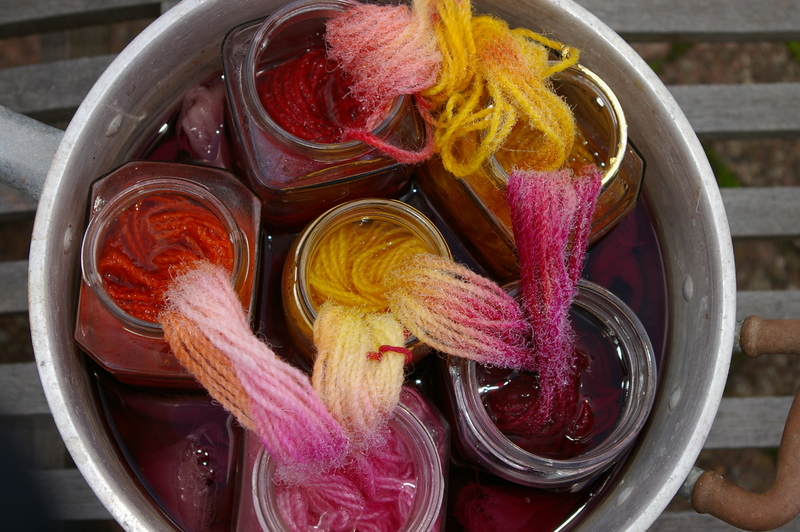 With an old saucepan and some jam jars it is easy to dye fairly large hanks of wool by draping them between the jars that are full of a mixture of water, vinegar and dye which can be several different colours. 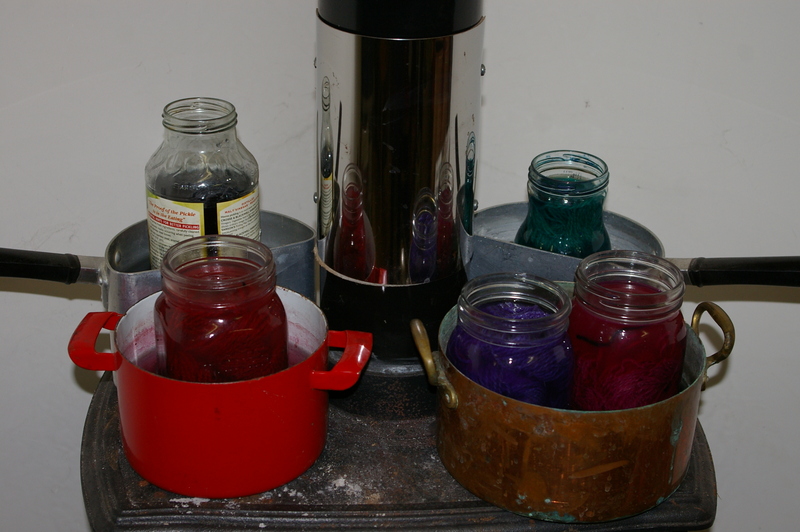 If the hank is damp when you put it in the colours will gently bleed into each other giving you lots more colours. I really like to do this on a cold winters day as the stove is just quietly burning away and it seems so good to be able to dye wool as well. 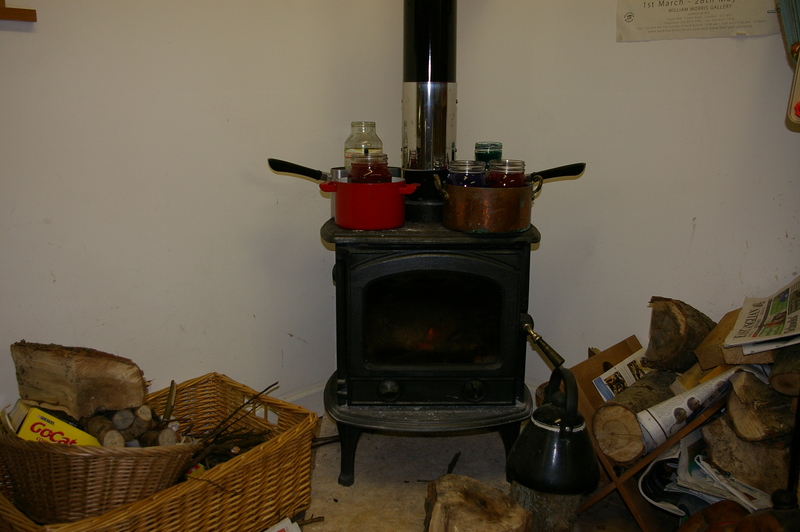 This is my little wood burning stove in my studio. I can get two saucepans and two half saucepans safely on the top and I let them sit there all day when the stove is on. The water never really boils but they get very hot and the long, slow cooking ensures that all the dye is taken up. 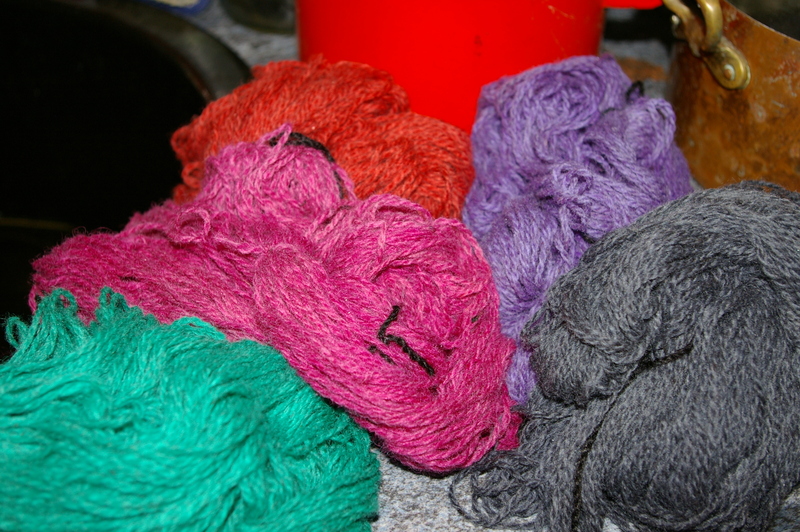 These are some of the lovely strong colours that I have dyed in this way. This is a wool and silk yarn which I have woven into a long, narrow length for a skirt. 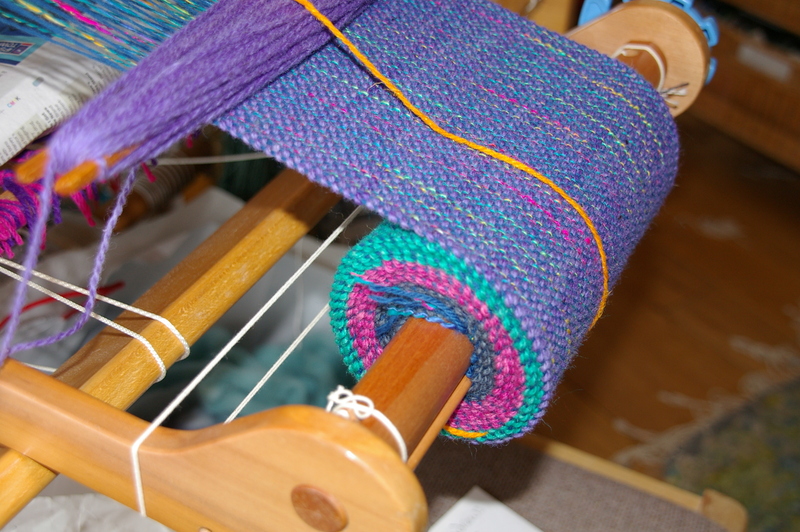 Here I am weaving on the 12inch knitters loom using the different colours which will make up the panel skirt.